To help prevent osteoporosis, get proper nutrition and regular physical activity, and avoid smoking and excessive alcohol consumption. Dairy products such as milk, yogurt and cheese are the richest sources of calcium. Fat-free and low-fat products, calciumfortified orange juice and cereals, fish with edible bones, and certain vegetables (such as rhubarb, soybeans and spinach) are good sources. Healthy adults ages 19 to 50 need at least 1,000 milligrams (mg) of calcium a day from all sources. Older adults need 1,200 mg a day. Calcium carbonate is the least expensive and most commonly used calcium supplement, and it's better absorbed when taken with meals. Calcium citrate is more easily absorbed but requires more pills to reach the recommended amount. Calcium phosphate is the least likely to cause constipation. If you're not taking a multivitamin, consider a calcium supplement that also has vitamin D, and milk that's fortified with Vitamin D. Vitamin D is essential for enhancing the amount of calcium that ultimately reaches your bones. In addition, the body can produce vitamin D from exposure to sunlight. Ten to 15 minutes of exposure two to three times a week helps. 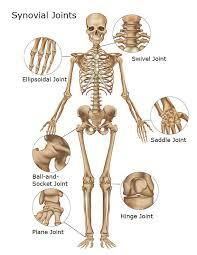 Regular physical activity and exercise help slow bone loss and improve balance, coordination and muscle strength. Smoking increases the rate of bone loss. Regularly drinking more than moderate levels of alcohol can hasten bone loss and reduce ability to absorb calcium.